Introduction: In advance of ICAST next week Shimano is introducing their newest saltwater reel, the premium Talica II which is a compact conventional reel designed for fly-lining Livebaits 30-40 feet underhand into the chumline. This reel is designed to offer both high speed and high power with a robust drag that is designed specifically for PowerPro braided line with short fluorocarbon topshots. The Talica II looks to break the mold: If you enjoy catching big fish with small lever drag reels the Talica II has your name all over it. 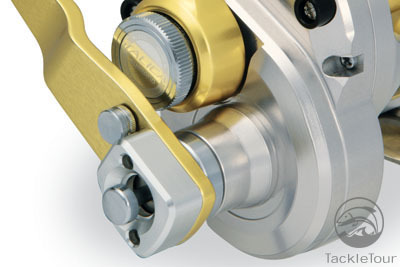 Typically star drag reels are better casters by nature, as they have lighter spools because the drags are in the gears not the spool itself, while lever drag based reels tend to have more power in the drag system because their washers are so much larger. Shimano is looking to break the mold with the Talica 2-Speeds, and their goal is to make a 2-Speed leverdrag that can underhand a sardine 40 feet to the chum line with ease. They also wanted to increase the fishable drag capabilities of a small diameter reel to fish with heavy braided lines like PowerPro� with short fluorocarbon top shots which are popular among saltwater anglers that fish superlines. 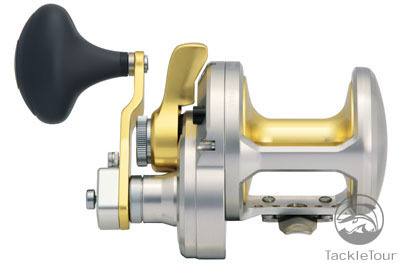 Shimano draws upon their previous experience with HEG (High Efficiency Gearing) in their star drag reels and the Talica II is engineered with fast line pickup compared to traditional 2-speeds but with plenty of cranking power in either gear ratio. The reel features a one-piece cold forged and machined aluminum frame, the aluminum handle-side sideplate is also machined and the spool is cold forged machined aluminum. 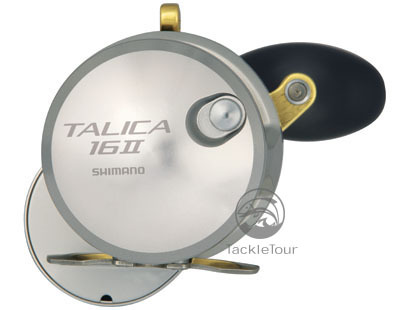 A Compact Design: Shimano made ergonomics a priority on the Talica II and the reel is designed to really blow anglers away when it comes to the power to weight ratio. Jeremy Sweet Shimano�s Reel Product manager confirmed that the company actually went through five different gearbox angles and shapes to get it to look and feel just right. Casting: To maximize casting ease and distance Shimano makes use of extremely high grade greaseless ball bearings that don�t flex under side load for an �unbelievable� freespool. This light weight spool is optimized for casting small livebaits such as anchovies and sardines and Shimano aggressively machined the spool to maximize weight savings while maintaining strength. Typically livebait rigs are very light, and traditionally to cast these baits, good anglers need to �bump� the spool during the cast to get the spool moving and avoid the bait from flying out, then suddenly getting jerked down by line not coming off of the spool and slapping hard on the surface of the water. Shimano addresses this by further in defining the ability of Talica to cast well underhand to enhance bait presentation. 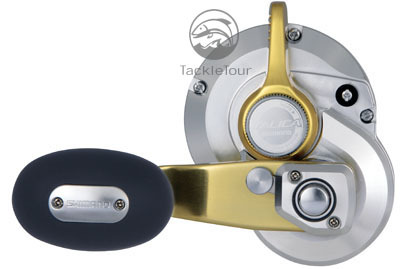 What a Drag: Any quality saltwater reel needs to come armed with a drag worth its weight in gold and the Talica features oversized carbon drag Washers for ultra-high drag pressures. This drag is designed to be smooth and is designed to handle 3 line classes heavier than what would normally be expected on a reel of this size. As can be expected the Talica�s waterproof drag was engineered to handle superlines and even the smallest Talica, TAC8II, will fish 50# PowerPro easily.